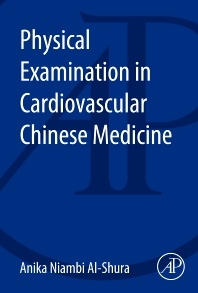 Physical Examination in Cardiovascular Chinese Medicine details the basics of how to take and record cardiac patient history and triage vitals, then apply the basic western and TCM methods for examining cardiovascular patients in the clinic. It outlines the basic procedure for creating intake questions and then examining the cardiovascular patient using both western and TCM techniques. This book is intended for U.S. based licensed TCM practitioners, cardiologists, and researchers of TCM and cardiology.